It’s time for episode 62 where I’ll be discussing the 1996 Revolution Software adventure series, Broken Sword. Before we get to the main topic, we got two emails. We then get into all 5 games in the Broken Sword series in the usual way. 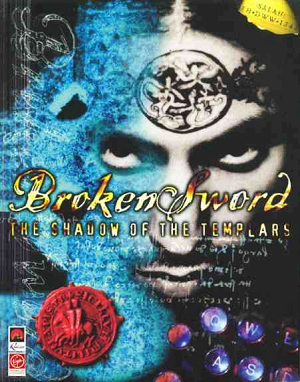 Also, we’re doing a Broken Sword giveaway! If you want a copy of the first game, send an email to podcast@umbcast.com with the subject line “Broken Sword Giveaway”. Next time, I’ll be looking at the 1996 RPG/FPS game, Strife from Rogue Entertainment.